With smartphones and tablets now decidedly out of fashion as revolutionary gadgets, the tech industry has turned to new devices to wow consumers and attract their purchasing power this year. The trend, overall, is one toward smaller gadgets that help to complete a mostly digital lifestyle, unifying gadgets and bridging the gap between computers, tablets, smartphones, and other pocket-sized devices. This year, prepare for at least two of these gadgets to make it to the mainstream in a big way. It was only a matter of time before increasingly tiny silicon components and a move toward ever-thinner devices led tech companies to develop a smart watch. In a move that resembles the wrist "communicators" in a number of science fiction movies, Pebble unveiled its smart watch earlier this year to much fanfare in the tech community. The watch display is built on e-Ink, the same technology that powers Amazon's Kindle and other e-reader devices. That makes the watch highly readable in a wide variety of environments, and it reduces the impact of essentially wearing a tiny computer screen on the wrist. The watch is powered by a series of default apps, and new ones can be downloaded and installed to expand the watch's functionality. For anything from running to golfing and listening to music, the Pebble watch and its applications can monitor, report, and interact, just like a very small smartphone. It may not be as life-changing as the typical smart watch, but it's worth noting that Kingston has accomplished what many people thought was impossible, not usable, and even gratuitous: The company has made the first flash drive that can hold a staggering terabyte of data. For those keeping score, that's roughly 1,000 gigabytes of data on a device the size of the average thumb. With more storage capacity than most laptops, the Kingston 1TB flash drive is poised to make a fully mobile-data lifestyle possible. Customers will be able to transport their settings, music, movies, and files, to every device in their lives without carrying a laptop or removable hard drive with them. That's a big deal in a world that values thin and light over large and more useful. The theme in this year's gadget releases is to create highly useful objects that are now as small as watches. With a terabyte of space that's barely the size of a finger, and a watch that can tell the time and the distance of a daily jog, things are about to get a lot more interesting in the world of consumer electronics. Valentine's Day which will be celebrated on coming Thursday, February 14 th. Now, the users can choose their favorite Valentines Day eCard from here and can easily send it after adding their own custom message to their favorite card. It is free. Watch the below video if you need any help to use this Free custom Greetings Cards. Start using the Valentine's Day eCard from here. Few days back I had received a letter from citibank with below message. The new Citibanking Account was launched some time back, to a very encouraging response. To offer you these enhanced services, your existing Citibank Suvidha Account will be converted to the new Citibanking Account. The Citibanking Account starts at a monthly net relationship value (NRV) of Rs. 2 lakhs for new clients. A monthly charge of Rs. 500 is applicable when the NRV falls below this minimum level. As a special gesture, for your long standing relationship, a lower minimum NRV requirement of Rs. 1 lakh will be applicable for your Citibanking Account. With this conversion, the revised terms as above will apply to your account, effective 1st March 2013. Most of the public sector banks are requiring to keep minimum balance of Rs. 1000 and some banks are requiring only zero minimum balance for SB account. And many reputed private banks are requiring to keep only Rs. 10,000 as minium balance. So, I decided to close the citibank account as this behaviour of citibank looks like arrogance and symbol of instability of citibank. I thought account closing can be easily done from citibank online as I found "Account closure" in query section of citibank online. But when I requested to close the citibank account from citibank online, I got reply stating that " For security purposes, we do not process instruction, if received through e-mail/facsimile/Citibank Online"
And, they asked me to follow below steps to close the citibank account. 1. A written instruction signed by the account holder(s), mentioning your 10-digit account number. 2. The unused cheque leaves and ATM card broken into pieces. I had to buy stamp for Rs. 35 for sending the post. I believe most of the people will be opting to close the citibank account, as these kind of behaviour of citibank will make it less stable. And, as most of the people will be leaving citibank, again they had to do heavy charges for the remaining account holders. If you plan to continue your citibank account, you can share the reason thro' the comments. And, I wondering about who is going to open new citibank Savings Account by paying Rs. 2 lakhs. Citibank is saying that the minimum balance will be calculated by including Fixed Deposit and other investments. But I came to know that interest rate of citibank is low comparing to other banks. 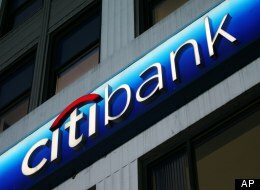 And, Citibank has minimum number of branches in comparison to the other available banks. So, I am curious to know why people are still using citibank. Dr. Abdul Kalam closes his Facebook Page which had more than Million "Likes". Former Indian President Dr. APJ Abdul Kalam was an active social media user. He used Twitter and Facebook for sharing his knowledge and experience with his followers. He used to update his facebook page frequently. But past few weeks I didn't get any of his facebook updates in my facebook timeline. So, I just manually typed his facebook page "www.facebook.com/OfficialKalam" , and surprised to see only few hundreds "Likes" for this page. Actually his facebook page had more than Million likes. He had shared this facebook message happily with his followers on reaching 1 million "Likes". My online friends, today, as we touch a million mark…I would like to ask all of you to give one smile to someone everyday. In that way, we can generate one million smiles in the nation every day. Also appreciate someone else for his or her goodness from today onwards…. Everyday… Let’s be the architects of a better family, better society and better India. Keep asking a million times.. What can I give.. What can I give .. what can give. Thank you to all of you and my team at what can I give for this milestone. Initially I thought his facebook page might have compromised by Hackers, as recently social media is being targeted by hackers. But on visiting his website, I found this message as "Important announcement". We had started "What Can I Give" mission - (whatcanigivemission.info, www.facebook.com/ whatcanigivemission) on 15 Nov 2011, with the singular purpose of spreading the message of "Giving" among the youth. Wherever Dr. Kalam started the "What Can I Give", the following three important messages were given. 1. "What Can I Give" mission is a self governed, self-actuated mission by the students from the schools and colleges and the youth, in small groups. 2. There is no money transaction involved and it is totally a free movement to spread the message of "Giving" among themselves and to the community around them. 3. The leadership for this movement comes from within the group alone and no remote controlled leaders exist. a. After a year of functioning of "What Can I Give" mission, the concept has been spread through electronic media, website and social networking sites and also direct interaction with the students and youth. c. These entities shouldn't be used in any form, for entering into any promotional, commercial, business and financial transactions. As this announcement is saying as "Since the purpose of "What Can I Give" mission has been achieved, it has been decided to close the following entities, with immediate effect", it looks like Abdul Kalam Team has voluntarily closed the facebook page of Kalam. But if they are closing the page voluntarily, why they should allow someone to use the page as Kalam fan page which may confuse the people further. For example, I again "liked" the page by wrongly thinking that it was updated by Kalam or by his Team. And, I couldn't understand what they mean by saying that "the purpose of "What Can I Give" mission has been achieved"
Because his mission is targeted on encouraging "giving habit" among youngsters. Even if we assume that Kalam has made all the young Indians to be the "Givers", still he can use his Social Media presence with huge number of followers to spread this message to the coming generations. So, I assume that he might have lost the access to his facebook page due to some unknown reasons. If you know any details, you can share it thro' the comments.